Forum Home > Mining History. > Coal Mining, Disaster and Death. The famous " Staffordshire " Coal seam, which used to run close to the surface in places, has been mined since at least the 16th century when all that was required, was a spade and a wheelbarrow. Dud Dudley used coal to fire his Iron works, after charcoal became scarce, and faced some stiff opposition from his competitors. There is some history that suggests the first deep shaft in Rowley Regis, was sunk about 1794, but other mines around the region had already come and gone, and were in operation long before this. Not many of the early Mines were recorded, which later on would cause great loss of life, and so it's impossible to say for certain, how, or if, anyone was killed as a result. Given the nature of Mining, it would be a miracle if any hadn't. Between 1806, and 1929, a period of 123 years, over 350 men and boys, in the Black Country, died as a direct result of Coal mining. This is by no means a true figure, as not every mine owner reported accidents, as it would have shut down the operation, give the mine a bad reputation, and cost money. One of the largest loss of lifes in the area, happened at the Friary Field Pit, better known as Moat Colliery, in Great Bridge/Tipton in 1849, when it is suspected, that up to 25 miners died. The previous highest total, was at the Rounds Green New Pit, Oldbury, in 1846. Improved safety measures, not always being followed, as some Inquests indicated, went some way towards making the job a bit less dangerous. In 1866, a careless moment, cost 12 men their lives, at the Homer Hill Colliery, in Cradley. When legislation was brought in, compelling mine owners to provide a second shaft, a great many of the mines shut down. Far too expensive for the small owners. in 1921, during a strike, a drainage pit was also stopped, resulting in severe flooding in the other mines in the Old Hill and Cradley Heath area. They were never reopened. Eventually, most of the others became uneconomical, or just worked out, leaving just two pits operating in the Black Country. Coombes Wood, in Halesowen, which closed completly in 1952, and Baggeridge, which if my memory is correct, closed in the 1970s. Mining did leave behind though, a rich heritage of tales and characters, not to mention a few surprise's. One such event was the sudden collapse of the lower end of Cradley Heath's High Street many years ago. I'm sure there are a few more shocks to come yet, not many of them were mapped. I hope anyone reading this, doesn't live on the top of one. John Langford, in 1833, produced a report on the then, 319 pits operating in the Black Country. From the report, came the following figures on the age of those employed. There were 23, who were between the ages of 5 and 10 years old. 2,056, between 10 and 15. 4,418, between 15 and 25. 6,934, between 23 and 75, and 129, who were over 75. The mines at this time, were producing almost 10 million tons of coal a year, most of which was destined for the Iron Works of the region. In 1838, a further report stated, that in the region, 9 youngsters under the age of 11, had been killed in mine accidents. Chimney sweeping, by comparision, was a fairly safe trade to be in. Not all Mine accidents, as I have already said, were widely reported, and there were almost as many deaths due to the conditions and equipment, as to explosions. One Thomas Stanton, fell from the skip ( cage ) as the shift were going down. He arrived a lot faster than the rest and was killed instantly. The Pit was the ' Old Fields ', in Lower Gornal, and his loss was a great disaster for his family, in Ball Street, Gornal Wood. In a similer accident at Harts Hill, the results were even worse. Aaron Crew, John Oliver, and Joseph Jones, were all killed when the chain parted, and it plunged down the nearly 700 foot shaft. Even when they got safely down, or up the shaft, danger lurked everywhere. At the Eagle Pit, in Old Hill, worked Richard Turner, who, on his way to the workings, was struck by one of the pits tubs. He did not long survive his injuries, being carried home dead. He was just turned 18. Nor, it has to be said, was it any safer on the surface at times. During a Miners strike, in 1893, two Women, picking coal from a disused tip, were buried alive, when the hole they had dug collapsed. Both dead Women came from Cradley Heath. Some deaths were just a bit bizarre. In Gornal Wood, again in 1893, came news of the death of young Sarah Ann Jones. She was killed by the escape from Miine workings of Carbonic Acid Gas. which built up in her home. That was on 10 January, and to make it even more bizarre, her Grandmother, Hannah Jones, was killed by the same gas, just 4 days later. Time to move out I would have thought, out of the district. Much less striking than direct deaths associated with the mining process, of course are the long-term effects that this sort of process left on the land itself. Just within a few hundred yards of my old home in Darlaston, for example, there were a number of examples of houses 'going wonky' (laugh!) because of the old pits underneath them. The entire area around where my house was built was heavily mined at different times and many of the properties in the region suffered varying degrees of subsidence because of this. My home, for example appeared to be constantly 'shifting'. Thankfully, there never seemed to be any real structural damage, but things like doors that were flush to the doorframe when renovations were carried out in the mid-80's were overhanging the frame by an inch or so by the late 90's and so on. Houses in nearby Victory Avenue could not be insured, apparently, because of subsidence. In nearby Burns Road, Moxley, at least one house had literally 'disappeared into a hole' at one point!! An acquaintance of mine worked in the local Neighbourhood Office at the time that this happened and the occupant had apparently come in to report that his home was physically 'moving'........ In the time it took him to get back home, the house concerned had actually 'gone' - having fallen into an enormous pit!! Talk about a lasting legacy, eh? Laugh!! The worst recorded collapse, was in 1914, when the lower end of High Street, Cradley Heath, fell into the old mine workings of the Stour Colliery. ( Rattlechain mine ) It caused extensive damage to the shops and the roadway. There are a few pictures in the Gallery, and some enterprising soul made a few bob selling postcards. At the inquest, there was a great deal of discussion, concerning why a Cage had not been used, which had more secure fittings, and wouldn't have been so easily damaged. The answers fairly simple. It would have taken time, to fit a cage to the winding gear, and time was money. It's still a most unusual mining accident. I cannot help thinking that it would not have crossed anyones mind that a horse would fall onto a cage. Still with mining, but an accident that may surprise some, that didn't happen actually down the Pit. Harry Mould, an Iron Monger, had a shop in Cradley Heath High Street. As well as all the stuff normally stocked, he had a little sideline. Perfectly legal you understand, and within the laws as they were in 1887, just behind his shop, he had a Powder Magazine. Now I don't know if any of the locals knew this, or that he supplied many of the local Pits with explosives. It doesn't appear so, as nobody seems to have warned their children, not to play around the Powder store. On Good Friday, 7 th April. Harry Moulds assistant, Adam Billingham, sent one of the shop boys to the store with a empty powder keg. The lad however, picked up one that still contained some explosive powder, and, as it had already been opened, it was leaking. Leaving a trail of powder, young lad went to the store, passing a group of children, who were playing in the yard at the back of the shop. A few minutes after he returned to the shop, there was a violent explosion, which destroyed the store, badly damaged several houses and the rear of the shop. The real damage however was to the children, 4 of whom were killed, including, it was said, young Adams brother, James Billingham, who was just 5 years old. Yes indeed, Mining really was a dangerous job, even when you weren't down a pit. It wasn't just the danger from roof falls and explosions, that were the bugbare of mining. From early times, due to the very nature of the earth through which they laboured and tunneled, Water was a major concern. So many Pits had been dug, abandoned, and forgotten, that no one was ever sure, if the next swing of a pick would start a flood. Sometimes the signs were already there, only to be ignored by the Managers and Owners, in the quest for quick profits. It was only in 1911, that Mine Owners had been compelled to file details of disused workings. not all of them could be bothered, claiming that documents did not exist. This was the situation then, in April 1923, as the 57 miners at the Number 5 " Dandy Pit ", Lenches Bridge, Pensnett, prepared to finish their shift, and enjoy a Saturday afternoon of leisure. 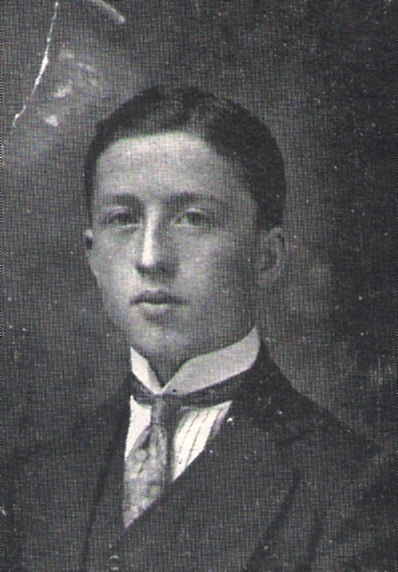 Thomas Jordan aged 24, one of the victims. William Simmons, 38. Another victim, and a member of the Dudley Mines Rescue Team. But did they know it, they had been tunneling underneath some old workings, abandoned some time in the 1850s. Sadly, for the 4 who lost their lives, the clues had been there a long time, as the roof of the main roadway had been leaking water for some time, but had been swept aside by those who should have known better. Not surprisingly, the Owners paid all the Funeral expense's, one at Wordsley, and the others at Pensnett. Over 10,000 people lined the route, all paying their last respects. Most of them already knew, just how dangerous it was, being a miner. It still is. Joseph Jordan, aged 24, single and from Coopers Bank. Ernest Haydon, age 40, married, and from Boat Fold, Wordsley. Job Dando, aged 44, married, and from Bromley, Pensnett. Resting now, in eternal peace. And as an added bonus, a picture has come to light, of the Funeral of some of the miners. Sold as a Postcard, and a limited number at that, it's rare to find stuff like this that has survived the ravages of time. This Mining accident, sadly, has a bit of a family connection. Walking around the area now, you can't see much evidence, that coal mining was a major Industry in the region. Tucked into a small valley, near Halesowen, Coombes Wood is more famous for it's Tube Works than for it's mining. Never the less, digging out the black bounty, from the bowels of the earth, had been going on for centuries. To give it the correct name, Cherry Orchard, the pit had been sunk in 1908, and consisted of two shafts. One used mainly for coal, men and machinery, the other for lighter duties. The pit was worked on a two shift system, employing 380 men undergound, and was very productive. ( Average 3,200 tons per week. ) All the coal was raised on the day shift, and unlike other pits, did not suffer greatly from Gas. Thats not to say that it was risk free, and the proper safety rules were strictly followed. It did lead however, to naked flames, ( candles ) and smoking being allowed at the work faces, which was also allowed under one section of the regulations. The owners, Coombes Wood Mining, generated their own electricity on site, which appears to heve only been used to operate the cutting machinery, and lifting gear. ( the pit beame known locally, as The New Plant ) In accordence with the regulations, before each shift started, safety checks were carried out. Before 7.00am, on the morning of 18th March,1929, this duty fell to Harry Jones and John Westwood. Jones was one of the pits firemen, and had a great deal of experience at the job. All pits had to have a means of ventilation, a large air pump, and a system of " Gates ", which comprised several layers of " Brattice Cloth ", sealed with Tar, and hung from roof to floor. Around 7.00am, Jones, satisfied the mine was safe, allowed several men through the gate, and off to their work at the long coal face. He was making his way back to the cage a few minutes later, when a cry went up, " Fire ". Hastily returning to the gate, accompanied by Fred Hathaway, David Hadley, and John Forrest, who were all on the way to start work, he was horrified to see the gateway was ablaze. They attempted to pull down the cloth, but the flames were too fierce, and an effort with both dirt and water also failed. Thick, acrid smoke, now forced them to retreat back down the roadway, and the alarm was then sounded. More frantic efforts to quell the flames, resulted in the burning cloth finally being removed, but the respite was short, as by then. the roof timbers were also alight. Harry Jones was badly burned on his arms. By a sheer stroke of luck, one miner, Jabez Edwards, unable to persuade some of his mates of the seriousness of the conditions, and making a lone attempt, appeared out of the smoke and flames. With most of the men now back on the surface, it became apparent that some were missing, so a call went out to the nearest Rescue team, which was based in Dudley. Problems with a Telephone, and it being a very foggy morning, delayed the Team, and they did not arrive until 9.25am. Conditions in the mine were now much worse, thick choking smoke poured out of the shafts, and the fire spread along the roof of the roadway. The Fire Brigade were called to pump water down the shaft, so that the miners could put out the fire, but it was eventually extingushed by the roof collapsing. The Rescue team finally went down at 1.25am, on the next day, and recovered 8 bodies. All had died from the fumes, while awaiting rescue. Why non of them, had not concidered walking the 800 yards to the second shaft, is a mystery that will never now be solved. Jabez Edwards, the sole surviver, himself said, that while they were discussing what to do, this option had not even been concidered. Apparently then, 8 men needlessly died, because they thought the fire was only a minor problem. Dangerous job Mining. Edwin Barnsley, 61, from Club Buildings, Rowley Village. Joseph Chance, 66, from Lye. Edwin Walter Duke, 27, from Halesowen. Harry Edwards, 44, from Brierley Hill. John Hargreaves, 32, from Woolstan, Staffordshire. James Harris, 58, from Cradley, Worcestershire. George Henry Parkes, 45, from Cakemore, Blackheath. John Joseph Westwood, 38, from Halesowen. This was the most serious accident that ever happened at the mine. There was no blame attached to the owners or managers, but from this date, all naked flames were banned, no matter how safe the mine was. Coombes Wood closed in 1952, and as I said before, you wouldn't know today, that it had ever exsisted at all. Two mines I mentioned in the opening post of this topic, Rounds Green, and Friary Field, I havn't dealt with in any depth up to now, so here's a brief history. Rounds Green Colliery, in Newbury Lane, Oldbury, was owned by a Mr North, (but apparently leased to Mr Parker,) according to the records available, who lived in Wednesbury. Not being a very large Pit, it did not employ a night shift, which meant that for many hours prior to each working day, ventilation was not used. On the morning of 17th November, 1846, the last of the day shift, 25 men, went down the shaft to begin work. Safety lamps were available, which could dectect the presence of the dreaded "Firedamp", but for some reason, they were either not taken down, or no tests were made. As the last of the men were being winched down, there was a violent explosion, and the skip was blown back up the shaft. Men and Skip were blasted over 30 feet in the air, 2 of the occupants falling back down the shaft. The men, Thomas Roden, and William Henshaw, were found shortly afterwards, dead at the bottom. Altogether, 23 men were reported killed, and several badly injured. The men nearest the explosion all died, so the job of finding out the cause of the blast, was almost impossible. The Inquest, which opened at The Talbot Arms in Oldbury, a few days later, heard evidence that the mines ventilation system was not what it seemed. Having no experts on hand, it was forced to bring in a verdict of accidently death. The Coroner, having to account for such a heavy loss of life, did however recommend a investigation, and a special Government Inquiry was set up to look at the mines ventilation arrangements. There does not appear to be a copy of the results on file, but a full list of the dead was printed in The Birmingham Journal, some days later. There were just 5 survivers of the 28 men underground that day, all very lucky men. Joseph Troth, 22, Jacob Boden, 15 Thomas Roden, John Windmill, 48, William Henshaw, Samuel Boden, 23, John Hampton, 10, William Hampton,16, James Shakespeare, Joseph Smith,34, ( the pits " doggy" ) James Wilcox, 33, James Elwell,56, George Harding, 48, ( A ' butty ' miner who employed other miners ) Isaac Duffer,10, William Masefield, 23, John Garbett, 25, a married man with two children, one aged 4, and the other just turned 1. To make it even worse, his wife was pregnant with a third, who was born in February,1847, and named John, in memory of his father. William Price, 35, James Wilcox, 33, William Lyman, 14, Josiah Parkes, 23, William Tarrant,28, and Job Holland, 46, the mine Manager. It was later reported, that the disaster had left behind, to the mercy of the Parish care, 102 orphaned children. Friary Field, or Moat Colliery, there seems to be a little confusion with the name, was listed as being in Dudley, but the records also say Great Bridge. It's possible down to boundary changes. This was a newly opened Pit, owned, or maybe just leased. by a Mr Morris, The mine was adjacent to the old one, and used the old shafts supposedly for ventilation. On the 26th June,1849, according to the mines own records, 70 men and boys, complete with safety lamps to test for gas, went down at 6am. The mine had been closed for almost 3 days due to a holiday and the weekend. The pit was over 274 yards ( nearly 900 feet ) deep, and had at least 6 coal faces being worked. The safety tests were the responsibilty of the mines "Doggy," ( Foreman ) as to whether they were made correctly, is another matter. Just before 7am, an experienced miner, Elijah Jutson, carrying out tests in a stall just off the coal face, detected sulpher. Men near to him were already bruhing away the sulphur and coal, creating dust, so he drew this to the attention of the doggy, Thomas Pritchard. The pair then moved towards an air dam. constructed to seal off one of the coal faces, to force air onto the one being worked, and found air was going over the top. Pritchard had it appeared, instructed a miner, Jacob Smith, to build the dam higher on the day they closed for the holiday, but he hadn't done so. Safety lamps did give out much light, they were not really invented to work by, but to help detect gas. Unscrewing the protective glass, Pritchard lit a candle so he could see better. It failed, and that little light he saw, was his last sight on earth. He was killed instantly in the resulting blast caused either by some Sulpher Gas, or more likely by the sheer level of coal dust in the air. By some miracle, Elijah Jutson was not also killed on the spot, for he had fallen to his knees when Pritchard lit the candle..He died two days later. The Explosion was heard all over the neighbourhood, and soon the pit yard was crammed with people. By 11am, 62 miners were back on the surface, but any hopes for the survival of the others, were soon dashed, when 8 bodies were bought up. They wouldn't be the last. Now some reports state the death toll as 15, as it does in a report made in 1853. But an earlier report related to the inquest, suggests the figure was 25, with 43 injured. A local paper put the deaths at 20, which may be the more accurate of the the 3 documents. The jury at the Inquest, delivered a verdict of accidently death, and I have no doubt, that if the Doggy had survived, he would have been faced with manslaughter charges. Incomplete records, means that no list of those killed has apparently survived, unless that is, someone has a copy of the local paper that carried the disaster report. It should also be noted, that the owner failed to state, just how many boys they employed. Given that most of the so called " Coal Masters " denied ever having employed young boys at all, it's a telling little tale. The sheer level of idiotic, and complacent behaviour, found in many of the old mines, does, at times, leave you speechless. The picturesque view, of The Pennant Hill Colliery, up on the Rowley Hills, was spoiled on the evening of 22 October, 1915. Just before 6pm, there was a violent explosion, which blew the entire cage, clean over the pithead winding gear. Cables were severed, timber smashed to matchwood, and it was impossible to go down to effect a rescue. There were 25 miners on the night shift. The owners, H.S. Pitt, struggled for some time to arrange a safe method of descent. When the rescuers finally arrived at the scene, about 7pm, the unstable conditions and more roof falls, obliged them to retreat, taking with them the mines Deputy and fireman, ( Shot firer ) Henry Thompson, who had somehow survived the blast and the surviving 18 men. Some hours later, after heroic efforts by the miners, they got to the site of the explosion, about 120 yards from the bottom of the winding shaft. Despite the length of time, they found one man, Frank Clarke, still alive, although terrible burned. He was taken at once, to The Dudley Guest Hospital. The 4 men, still missing from the night shift, were found beneath the rubble, dead. At this pit, no coal was bought up by the night shift, it was worked, but left for the bigger day shift to move. It was the rule in this mine however, when needed, for the fireman to drill and then blow down the coal face, prior to the start of the days work. Written permission was required by the regulations. The men had been working, at enlarging a " manhole ", to widen the work area prior to blasting, and the air was full of coal dust. It was alleged at first, by Thompson, that he had been given permission to fire the shot, the night before by Henry Williams, but as the man was now deceased, Thompson changed his story, and said it was the manager, Benjamin Parker. This was denied by the manager, who said, that even if he had, Thompson was an experienced man and would have known it was dangerous, given the level of the dust. So that left the two men arguing over who was blame. The time of the explosion, just over an hour after the shifts changed over, would imply, that the fireman, in a hurry to finish, fired it anyway, without taking any tests for dust or gas. The manager, safe at home in bed, in all probability, just left it all to the fireman, complacency and neglect of a high order. While this bickering was going on, the man so gravely ill in Hospital died, bringing the needless death toll to 5. Henry Williams, aged 42, a coal loader, Perry's Lake,Rowley Regis. James Rose, aged 25, a coal loader, Hawes Lane, Rowley Regis. Charles Knight, aged 22, a coal loader, Tipperty Green, Rowley Regis. James Clarke, aged 60, a pikeman, Quarry Bank. Frank Clarke, aged 26, a pikeman, Old Hill. This accident would have attracted a bit more press coverage, but for the fact the Country was at War. There had been heavy fighting on the Western Front around Loos on the 7/8/9th of the month. On the 12th, the Germans executed Edith Cavell in Brussels, and before any Newspapers could raise it's voice, on the 13th came a heavy Zeppelin Raid on London, which killed 59, and injured another 114. Set against all this, five more lives lost in a coal mine, was hardly worth bothering with. All the evidence was presented to the inquest, and the jury, in some confusion, despite the breach of the mining regulations, bought in a verdict of Accidental Death. The Coroner however had other ideas, and in his summing up stressed the need for an inquiry into the lax and criminal way the regulations had been flouted. He was right as well. A Court case followed, in which both Benjamin Parker, and Henry Thompson, were found guilty of Wilful Negligence, and both were heavily fined. The owners come in for a bit of stick as well. Why did they employ such obviously incompetant and stupid men? Why use the old fashioned Black Powder, when there was a much safer alternative? The answer, as always, Profit. As I have already said elsewhere, there is no second chance down a mine. When anyone does something stupid, unlike the old tale about the Cat, men do not have nine lives, and it can be snuffed out as easily as one of the miners candles. Sometimes, after a what looks like a close call, miners families, and the Owners, breathed a sigh of relief. Prematurely, as it often turned out. The owner of the Titford Long Meadow Colliery, near Oldbury, although to be strictly accurate, it was in Causeway Green, must have done just that in July 1874. Joseph Hackett, had worked the old pit for some years, on behalf of the Owners, Fletcher & Company, apparently from before 1861, and having worked out most of the thick seam, he sank some shafts, to get at a layer just underneath called, for some reason, " Heathen Coal ". His workers had dug a tunnel, called a 'roadway', which also doubled as a return airway, which as far as ventilation went, was pretty basic, and by the standards, crude. A few months into extracting the heathen coal, a fire was discovered, in the roof of the old thick seam workings. How it had started, no one knew, the most likely explanation that would be offered, spontaneous combustion, is a good bet. There had been no smoke or other effects reported, so it hadn't been burning long. Work could not continue however, and a plan was put in place to extinguish it. Now every mine suffered from a degree of flooding, and what water was pumped in, had to be balanced with the amount that could be pumped out. A small hose was employed, with a crew of 4, under the control of the overman, John Dyas. On 23 July, when the operation was well underway, there came a terrific crash from the old workings. Almost immediately, the surrounding air began to heat up, and in some discomfort, the men ran for the upcast shaft, from which they were winched to safety. On the surface, from the breathless discription of the men, it was assumed that an explosion of Firedamp had occured. All work ceased, and the pit was sealed, to prevent the spread of the fire, which was standard practice, the men were sent home. No medical aid had been required, as the miners were not burnt, and indeed, no evidence of even singed hair was apparent. Joseph Hackett, as already stated, must have been relieved. His mood would have changed later that day when news reached him that one man had suddenly died. John Dyas, the overman, who lived in Whiteheath, was 32 years old, and a married man with 5 children. He had complained, as the rest would, of a raging thirst, before dying in a great deal of agony. The Doctors were at a loss as to the cause of his death, and dispite removing the rest to hospital, they all went the same way. The last to die, James Jackson, a single man from Church Bridge, Oldbury, lingered on until 30th July, when his pain finally ceased. In the hope that the pit would re-open, and the cause of the accident discovered, the Coroner adjourned several inquests. All in vain as it turned out. Joseph Hackett, either through upset, lack of money, or some other reason, closed it down for good. It was left to the mining Inspectors to come up with an explanation. The opinion was, that the fire had burnt a large cavity in the old thick seam, which had then collapsed, forcing the hot gases out into the mine. The Deaths being caused by the inhalation of these gases. The poor miners had in effect, had their lungs boiled, a revelation at the time, but a cause of death well known today. John Dyas, 32, the pits Overman. died 23 July. Edward Cook, 26, the Pumpman. died 24 July. Joseph Roberts, 45, Collier. died 24 July. James Jackson, 29, Collier, died 30 July. The cause of Death was recorded as Accidental. The Pit, should anyone be interested would have been in the Penncricket Lane/Ashes Road area. Now everyone in Cradley knows where Homer Hill is. It's been the scene of agreat deal of Industrial activity for over 150 years, including Mining. At least two Pits have operated in the area, Cradley Colliery, and Homer Hill Colliery. It's the latter, that in 1867, was in the local news, following an explosion that claimed a recorded 11 lives. The Owners of the mine, Messers Samuel Evers and Sons, worked it via three 450 foot shafts. Their were two seams worked, one of 10 yards wide, and the other 9 feet wide. The Ventilation system, rated at 10,000 cubis ft per minute was barely acceptable. To uprate it, the owners had a firegrate built, about 40 feet from the mines bottom in the upcast shaft. The air could only flow in one direction, and there was no provision should an emergency situation arise. This was against the regulations. The coal face being worked on 12 November 1867, was fairly new, and had been known to produce large quantities of gas in a very short space of time. A good ventilation system would have cleared this as the men worked, but sadly it wasn't a good one. About halfway through the shift, after a few sharp cracks, about 300 tons of coal fell from the face. This did not injure any miners, they had heard it coming. What did the damage, was the mighty blast that followed, as a pocket of trapped gas exploded, set off by a naked candle. A fully loaded skip, complete with horse and driver were blown down the roadway, all the ventilation doors were blasted away, and the cage was driven 240 feet up the shaft. It there had not been a column of supporting coal in the way, the entire shift would have been killed. The bulk of the Machinery was undamaged, and it's in a report, that the mine was back in full production within a week. As with the previous mining accident at Causeway Green, Oldbury, no one died at the scene. The 11 deaths were spread over the next two weeks, and most died in agony, all for the sake of using safety lamps, which had been readily available. Following the opinion of the pit deputy, Edward Foley, and to a large extent echoed by the Inspectors, a large quantity of gas had indeed been trapped in the roof, prior to the coal fall. The use of candles again the cause of so much misery. Joseph Edwards, pikeman, died 12 Nov.
Frederick Barrel, bondsman, died 13 Nov.
James Heathcock, bondsman, died 13 Nov.
Harry Westwood, bondsman, died 14 Nov.
William Harden, bondsman, died 14 Nov.
Enoch Barnbrook, pikeman, died 14 Nov.
Samuel Guest, bondsman, died 18 Nov.
William Battleton, bondsman, died 18 Nov.
David Hart, pikeman, died 19 Nov.
Joseph Griffiths, loader, died 19 Nov.
William Gordon, pikeman, died 23 Nov.
James Poulton, pikeman, died 26 Nov. The inquest verdicy was the same as most others from the period, Accidental Death. For anyone struggling to understand the term " Bondsman ", it means that each of the men had signed an agreement, that they would work a specified number of hours for the pit owners. A sum of money was agreed at the start of the contract, and the man could not work at any other mine until the contract ended. Just a bit more on the Homer Hill Colliery, as some time after the disaster, it passed into the hands of the Homer Hill Colliery Company. Safety underground is something I have stressed before, you only get to make one foolish mistake as a rule, and it's usually the last. In 1877, one young lad, John Tibbetts, only 14 years old, and with the spirit of youth it's supposed, decided to take a risk, and ride the coal tubs. Rails underground, were never as stable as those on the surface, having many bumps and dips. Losing his grip, he was crushed to death between two fully leaden tubs. The next year, 1877, James Millington, at 65, an experienced man at replacing and repairing the timber supports, was killed in a roof fall. He had taken out too many at one time, and due to a bit of complacency, paid the price with his life. In a similar stupid act as young Tibbetts, 3 years before, Thomas Hambry, in 1880, was riding a tub which struck a wall and bought down part of the roof. He did not survive the experience for long, dying a few hours later from his bone breaking injuries. Joseph Capewell, aged 37, should have used a bit more sense, but he may have been a bit late getting to the coal face. Riding the empty tubs was even worse than the full ones, as they were almost certain to derail more often. Such was the case here, and he was crushed between the tubs and the wall, under a pile of rock and timber. Richard (?) Barnbrook, another youngster at just 16, did the same thing on the tubs, in 1882. This time a large section of the roof fell in as well. The next time he was seen by his mother, was as a corpse on the back of the cart that took him home. When instructed to clear the face, and stand back, it was an order usually obeyed. Why 45 year old Samuel Gunner failed to heed the cry, and move, no one knew, but he was still there when the lot came down, later on that year. To complete an unhappy 12 months for the Homer Hill Colliery Company, Isaac Palmer, aged about 17, was a bit careless, and got himself run over by one of the horses. Not a fatal accident in itself, but the Horse then pulled a fully loaded tub over him, which most certainly was. He lived just long enough to tell the Pit Deputy what had occured, before expiring on the way back to the upshaft. Just a little example, of the steady trickle of deaths, that were part of the ( sometimes short ) working lives of 19th century miners. The Five Ways Colliery Explosion. George Dudley, David Holt. Just up the road in Cradley Heath, was the old Five Ways Colliery, or to give it a proper name, White Hall Colliery, not a large mine, and owned by one George Dudley. He had purchsed the mine from William Darby, following a local tragedy, when 11 miners were killed in an explosion, a virtually identical incident to this one. A human failing it seems, is never learning anything from past history. From the records, he was a fairly diligent owner, employing safety lamps when required. The mine, like many on that side of Cradley Heath, ( on the edge of Quarry Bank and Kingswinford ) was prone to gas building up, ( never mind what was said at the Inquest, for why then was it neccessary to keep a fire going in the furnace to aid the ventilation.) hence the lamps being employed before each shift began. On the day of the accident, 10th July 1851, The Doggie, David Holt, used one of the lamps to inspect one side of the coal face. The other side, he deputed to miner Daniel Warrall, against the rules, and it later turned out, with fatal results. Neither the Manager, or the Mine owner was aware of this action. The workforce in this mine, was quite small, no more than twenty men and boys, and it was getting to the end of it's economical life. About 9am, Daniel Warrall, followed by a miner with a candle was finishing his inspection, when there was a fearful explosion at the coal face, which killed 4 miners instantly, and mortally injured 5 more. Several were so badly burned they were almost unrecognisable. It would appear, that the mines ' doggy ', ( foreman ) in order to speed up the work a little ,had orderedl a candle lit, in what he concidered was a safe area. It wasn't, and he rightly got blamed for his negligence at the Inquest, which was held in The Swann Inn, Netherton. Dispite this decision, the Coroner recorded that they all died from Accidental death. What comes as a shock to most modern day researchers, is the age of some of the dead, Two of them at least, were barely 13 years old, and some were related. The list is below. So much again, for the often quoted denial, that young boys were not employed underground in Black Country Pits. Perhaps they were merely waiting for a passing horse bus. David Holt, 51, an experienced miner from Quarry Bank, married with 5 children., and the pits Doggie. John Holt, 52, Davids brother, from Brierley Hill, married with 4 children. Henry Cartwright, 48, from Quarry Bank, and unmarried. George Shaw, 19, from Wordsley, also umarried. Daniel Warrall, 32, from Kingswinford, believed to be married with children. Daniel Warrall, 26, his cousin, and from Quarry Bank. Joseph Smith, 12, a Workhouse apprentice from Brierley Hill, and an underground labourer. Joshua Perry, 13, the son of one of the miners, and an underground labourer. Joseph Edwards, 17, from Cradley Heath. There are three more deaths to add to the list, all horses killed in the blast. The owner, George Dudley, paid for the Funerals. As it was later rumoured, with a great deal of moaning about the cost. He may have felt the cost of buying three replacement horses a bit steep though. Driving down from Dudley into Brierley Hill, and then, instead of heading for Merry Hill, carry on down Church Street, and you will come to a little area that contains the old Clattershall Works. In 1867 there were several coal mines in this vacinity, one of them called Clattershall Colliery. It was an old mine, having been worked since the 1840s, and it had a few problems, as did most of them. This mines perticular problem was Fire. not the fear of it, that had long passed, but the fact that it was actually on fire. It had been for some time, and a dam ( wall ) had been built to contain it, so that mining could go on. The dam, which mainly consisted of a low brick wall, packed up with sand, to restrict the air-flow, had to be maintained constantly. The mines owner, Mr. Croecutt, had issued instructions on how it should all be done, and left the operation to the mines Chartermaster, Mr. Shaw, an experienced engineer. On the 2 March, 1867, the dam was found to be leaking, and air was reaching the fire. The Ventilation system used in the mine, was also provided by means of a fire, kept burning in the shaft to create a steady draught, and thus divert air away from the section containing the dam. Shaw gave instuctions to the pits deputy, Mr. Chivers, to get sand sent down the shaft to plug the leaking dam wall. Now it would appear, that Chivers thought he knew better than Shaw, how to carry out this operation, and a heated argument began between the two men. Rather than waste time bringing the sand down in buckets, Chivers proposed putting out the ventilation shaft fire, and just tipping the sand down the shaft. After a further exchange of words, Shaw agreed, and Chiver's began the task, ordering the fire put out and the sand tipped down. The operation did not go well, and took longer than he anticipated. This allowed, without the ventilation, for choke damp to build up, and the 4 men and boys carrying out the work, and Chivers himself, all died. At the resulting Inquest, Shaw was charged with manslaughter, and committed to the Stafford assizes. He was to turn out to be a very lucky man as the Jury aquitted him of any blame. Now I would, at this stage, have supplied the names of the dead, but they havn't been recorded. Doe's anyone have the relevent information please. As a little footnote, at the same mine, and the very next year, but under a different owner, Edward Bowen, five men and boys were killed by the inhilation of Carbolic Acid Gas. ( Choke damp ) It would seem that the fire was still burning in the old pit, and that no lessons had been learned, from the previous years disaster. The date of this second avoidable incident was 11th March, 1868, and once again, the records are a bit sparse, so if anyone can help, I would be most grateful. A quick look at the map of the region, on the " Coalmasters " page, and you will notice the line called the Bentley Faults. This is where the Staffordshire coal seam vertually ended, before it swung to the northeast and Cannock. Tucked away in this area, are two little places that don't feature so much on modern maps today, Short Heath, and New Invention. Both have a long history of mining, some of it a bit tragic. Short Heath Colliery, owned in 1879 by the Pelsall Coal and Iron Company, is a case in point. On 12 Nov, the mines engineer, John Slack, was down the mine supervising the newly opened fireclay coal face. The mine worked several faces in this mine, the shaft having been sunk right in the middle of the coal seam. He had gone down to monitor the progress prior to another shift coming on at 2pm. About 1pm, there was a violent explosion, which terrified the banksmen, Edward Green, who was in the process of lowering some timber down the 300 foot shaft. A huge cloud of smoke and sulpherous fumes shot up the shaft, scattering the timber all over the yard. When the noise subsided, he heard a shout fromm the bottom of the mine to get some help. It wasn't a very big mine, and he was alone at the pithead, so he had to run the 200 yards to another pit for assistance. ( Now that gives you some idea, of how close these little mines sometimes were to each other. ) When he reached the other mine, there were only three men on the surface, and two of them went back with him to help. A by now alarmed Edward Green, lowered the two miners slowly down the shaft, but before they reached the bottom, they shouted to be winched back up. The fumes were to great, rescue would have to wait. By now, word had spread of the accident, and other miners arrived in the pit yard. In order to improve the ventilation, they poured water down the shaft, a way of forcing more into the workings. It seemed to work, and about 3.30pm, a rescue party went back down. They found several dead men, but were forced to retreat before they could recover them. It was by the light of flare's, later that night, that the six men who had been down, when the explosion occured, were bought to the surface. The inquiry into this disaster was, for some reason, held at The Great Western Hotel, in Birmingham. The manager, Michael Harle, gave evidence, watched over by the company solicitor, a Mr Lewis, from Walsall. He told the Inquiry, that six years before, but when in the ownership of Messers Boaz, Bloomer and Son, there had been a similar explosion. It appeared that the mines ventilation system had not been changed since, nor had the inspection methods. It consisted of an aperture or small shaft, that ran behind the shafts walls, which in places was open, and subject to being blocked with debris and coal dust. It was a very long way from being barely adequate. It was decided, that the explosion was caused by a naked candle, as that was the only means of lighting in use that day. Michael Harle did not escape without censure. He was ordered to pay the full costs of the public Inquiry, but thanks to a glowing reference from his employer, his operating Certificate was not withdrawn. This possibly had more to do with the men who knew the answers, all being dead. Following an Inspection, the mine was found to have suffered very little damage, and it was soon back producing a profit for it's owners. It hadn't taken them long to find the staff to get it running again. John Slack, aged 32, and the mines Head Engineer. Joseph Frost, aged 53, the mines Chartermaster. Edward Grant, aged 32, The mines Deputy. Benjamin Deakin, aged 35, the pits tub handler and loader. William Wood, aged 20, a pikeman. George Henworth, aged 49, a pikeman. The death of Henworth, would have caused a great deal of anguish among the population of Short Heath, especially the men. He was the popular landlord of a local pub, The Duke of Cambridge Inn. I don't suppose, given the choice, that he was entirely happy about it either. This next one is founded on a bit of a mystery. The Dog House Pits, part of a collection of shafts called The Buffery Colliery, in Dudley, was owned by Edward Jones, and William Darby. The manager was James Crew, and the Charter Master was William Wright, both men had a great deal of experience in the mining industry. The night shift were due to start on this fateful day, January 7th 1875, and Wright, forefilling his duty, had just finished his inspection and passed the men on the way to the surface. The Butty, ( a contracter who supplied the labour ) had sent down for the shift, Benjamin Mason, Joseph Harrison, Joseph Knowles, Thomas Green, Edward Parkes, Joseph Mason, Joseph Slater, and Francis Fellows. Apart from Knowles, they were all miners of long standing and reliable men, Knowles having recently started life as a miner. Wright had only been on the surface a short time, when there was an almighty explosion about 6pm. For some reason, although help was summoned, word of the accident did not get to the Town. It was not until 10.30pm, when the first of the of the bodies were taken to their respective homes, did the news spread. Indeed, so secret was this accident, that the pits Banksman, had to ask the Policeman who had been put in charge, what had transpired. There was no delay in sending for help, Doctor Jones, a local surgeon, was swiftly at the scene, summoned by one of the owners, Edward Jones. Wright himself, had quickly formed a rescue party, which went down the pit shaft at once. There would be no fast rescue though, the blast had bought down a huge section of the roof, started a fire, and the air was too foul to breathe. Joseph Mason and Edward Parkes, working close to the pit shaft, were unharmed and walked away without a scratch. Joseph Slater and Francis Fellows were also lucky, they were protected by the roadways seperating them from the blast area, and also walked out unharmed. Hampered as they were by the fire and sheer amount of debris in the way, the party of rescuers stuck doggedly to the task. Just after 9pm, they had cleared enough to enter the area, at which stage all hopes of finding anyone alive were dashed. The grim task of removing the bodies began. By 10pm, hearing the news, a crowd began to assemble around the pithead, but with the announcement of the details, sadly went home. It's highly likely, that the blast was caused by a naked candle, as so many were, but what had prompted Wright to miss the build-up of fire damp? We shall never know now, there aren't any mining records that I can find to explain the accident, nor to cast the finger of blame at. Just another four graves in a Churchyard, to mark the dangerous conditions of mining. Benjamin Mason, 49, living at No.9, Sweet Turf, Netherton. He left behind a Widow and two children. Joseph Harrison, 56, from 51, Mamble, Dudley. He left a Widow and five children. Thomas Green, 19, from 7, Dunn Street, Dudley, a single man. Joseph Knowles, 17, from Dock Lane, Dudley, and also single. If anyone has any further information, please let me know, it will maybe help others, in the search for relatives, missing from the official census records. When I started this subject, I had no idea I would be posting about more mining deaths in the United Kingdom. My heart goes out to families of the four miners, killed in the accident in South Wales, on the 14th September. Such incidents have been forgotten by many, indeed some can't remember the last time, the valleys of Wales mourned a loss. Cambrian Colliery, Rhondda, 17th May 1965, where 30 miners were killed in an explosion. The dreadful disaster of Aberfan in 1966, and the last one in Wales, Cynheidre-Pentremawer, Llanell, on 6th April 1971, when 6 miners were asphyxiated by Methane Gas. I can but express my condolences to all concerned, and leave it with a poem written in memory of another disaster in 1907. Of hardy miners brave and strong. Who toil near dangers brink.